China has been a country which is consistently on a high rank. They have been making strides higher than most of the world. Majority of the products in the world are Made in China with several big companies like Alibaba, Xiomi, among others taking the limelight. 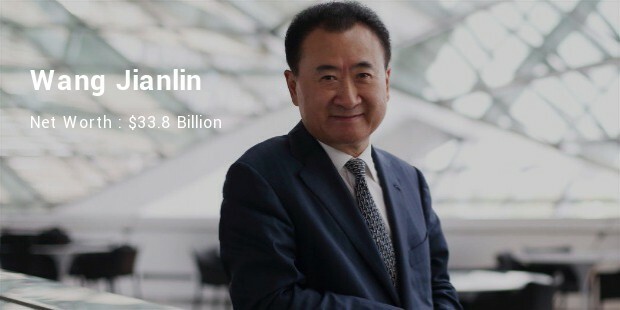 With a net worth of 33.8 billion USD, Wang Jianlin is the richest billionaire from China. His source of income has been real estate, and he is a self-made man throughout. Born on October 21, 1954 in Cangxi County, Guangyuan, Sichuan, China, he studied in Liaoning University. He is the founder and chairman of Dalian Wanda Group. With a current net worth of 27.9 billion USD, Jack Ma is the famous man behind the Alibaba group. He is probably the first mainland Chinese entrepreneur to appear on the cover of Forbes. His story of rejection runs long. Having been rejected from 30 jobs, he created something that has been a tale of the legends, and which will be an inspirational story for years to come. Popularly known as Pony Ma, Ma Huateng carries a net worth of 19.4 billion USD. 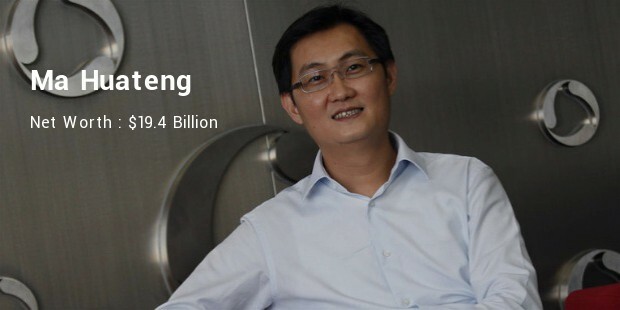 He is the founder, president, CEO, and executive board member at his brainchild- Tencent Inc. It is one of the largest companies in China. He is 39th richest person in the world and made to Time’s most influential list in 2007 and 2014. With a net worth of 13.9 billion USD, William Ding is one of the self-made businessman who is the king in online gaming world. With a dozen of employees, he started in the year 1997. He has, from then grown NetEase into the largest web and mobile gaming company of the world. 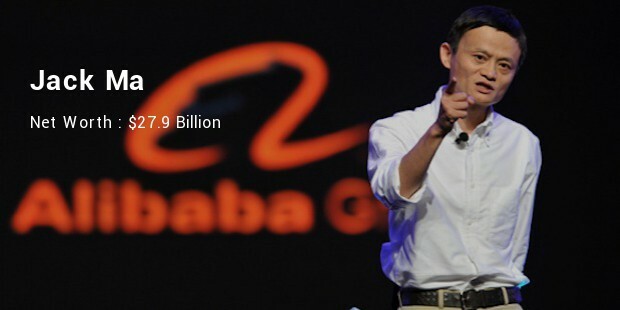 With a current net worth of 13.3 billion USD, Robin Li is one of the successful Chinese internet entrepreneurs. Being the co-founder of the internet search engine Baidu, he is also its Chairman and CEO. He’s also in the Board of Education & Technology Group Inc. On August 5 2005, his company was listed on NASDAQ. 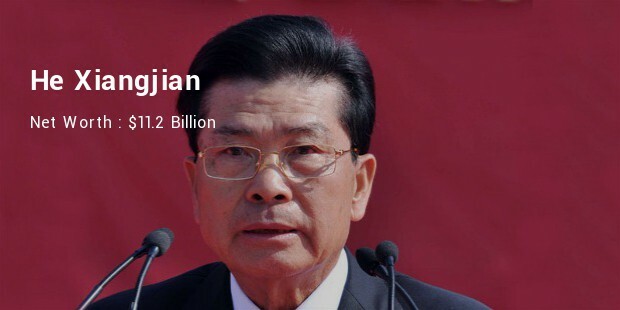 At the age of 74, He Xiangjian carries a net worth of 11.2 billion USD. He is the founder of home appliances maker Midia group and it is one of the giants of the Chinese industry. Although he has stepped aside from his role of leader, he continues to be an influential personality across China. 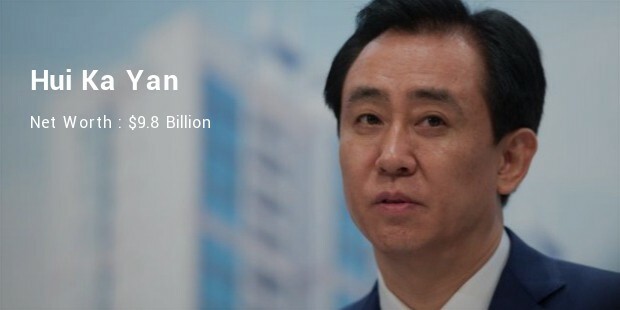 With a net worth of 9.8 billion USD, Hui ka Yan, chairman of Evergrande Real Estate of Guangzhou, is one of China's richest men. It is a Hong Kong state listed company which works on residentials, properties, and hotels. He sold 50% stake in his popular soccer team to Alibaba of Jack Ma- the second richest person in China. 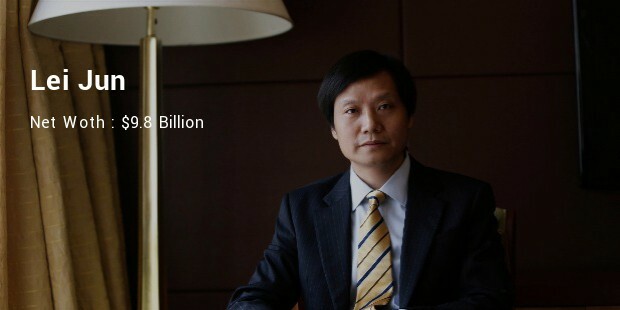 The man behind the Apple-killer Xiomi Inc, Lei Jun is one of the most successful businessmen in the world. 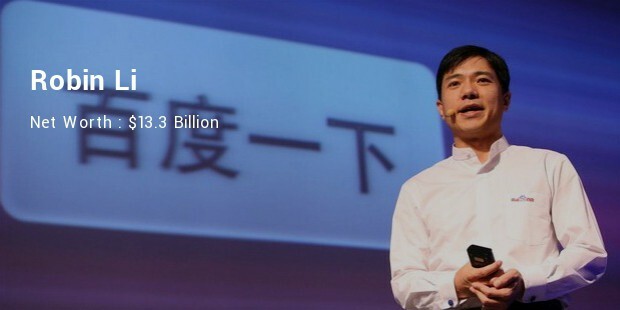 He is the founder and chairman of Xiomi Inc, along with being founder of Amazon China, Chairman at UCWeb Inc, YY.com, and Great Wall Club, and Executive Director at Kingsoft. He carries a net worth of 9.8 billion USD. 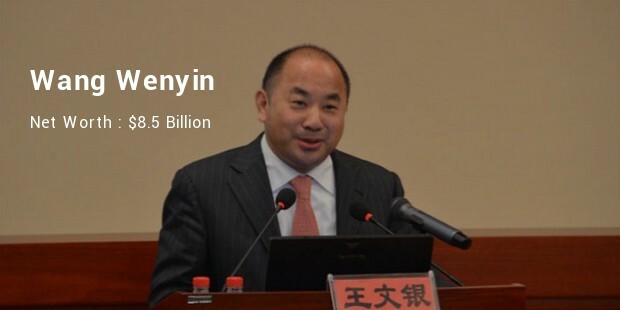 With a net worth of 8.5 billion USD, Wang Wenyin is one of the most successful Chinese businessmen. He attained his education in Nanjing University. He’s the chairman at Amer International Group. He is in mining and copper products, and is a self-made man. 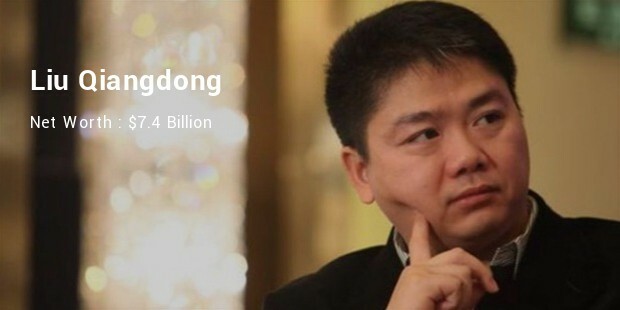 Liu Qiangdong has built a net worth of 7.4 billion USD via the ecommerce industry. He is the chairman and CEO of JD.com. Shares of JD.com are also listed on NASDAQ. The company partnered with Taylor Swift for selling clothes via e-commerce in 2015.